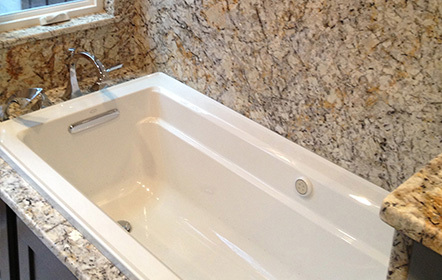 Specializing in Kitchen and vanity countertops, Exterior and Interior, fireplace and surrounds and more! Durable natural stone that is heat, scratch and fade/stain resistant. Easy to clean and maintain, and can outlast the life of your home. Natural stone is bacteria free, and comes in a large variety of colors. Adding granite countertops, backsplash, and even windowsills increases your home’s value. 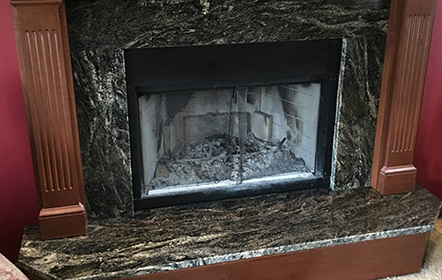 Bring exquisite design to your interiors, by utilizing natural stone in areas such as your fireplaces, windowsills, and even your home bar. Choose from a variety of colors and designs to match all your decorating needs. Bring character to your patio, pool, and grill or outdoor bar area, with the use of Granite or natural stone tops. These are weather resistant, and can even be used as stools for your swim-up bar. 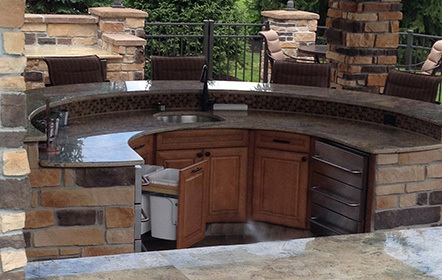 Never worry about replacing your outdoor patios tops ever again. 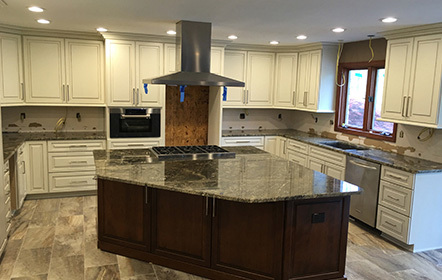 With over 15 years of experience in the granite Industry, G&D EuroStone continues to provide Cleveland area and Northeast Ohio with personalized service, quality products and commitment to those who desire the very best in granite design and detail. Free estimates – we offer free estimates to all our customers. Give us a call to schedule to schedule your appointment today. Large selection – we work with multiple distributors to ensure our customers have the largest variety of natural stone, at the best price, with the fastest turnaround available. Affordable prices – we are known for our competitively low prices, and high quality products and work, and install within 5-days of signed contract. Fast turnaround. You and your staff were a pleasure to work with from start to finish. You can count on referrals from me! Best service I have ever had. Great attention to detail! The one thing that impressed me most about G&D EuroStone during the interview process was the attitude of the people conducting the interview. I got a sense of company loyalty from them mixed with bona fide job satisfaction.